Pastor, attorney, and Delight in Truth friend Leonard Semenea had a crystal clear message on April 16th, 2016 in Seattle, WA. We, the concerned citizens and residents of Seattle, Washington as well as many other communities throughout the world, have peacefully gathered on April 16, 2016, at the West Lake Center for two main reasons. First, to raise awareness of the abuse of power that Norway’s child protective service agency called Barnevernet continues to exercise. Second, to issue a prayer of relief addressed directly to the more than 5 million good people of the Kingdom of Norway, his majesty Harald V King of Norway, Ema Solberg PM of Norway, the parliament of Norway, the Judiciary branch of the Kingdom of Norway, the individuals that are holding many children captive (against their will), and to Barnevernet, Norway’s CPS agency. We are deeply grieved by the abuse and complete disregard for basic human decency that has been exhibited by Norway’s Barnevernet. Let me tell you the story of what happened to the seven members of the Bodnariu family. On November 16, 2015, assigned agents working for Barnevernet took 9 y.o Eliana Bodnariu and her 7 y.o. sister Naomi Bodnariu from school, against their will, and have still not allowed them to return home to their parents. In the United States of America and other civilized countries of the world, when someone is taken and held against her will that is called “kidnapping.” In the US and most other civilized countries of the world, kidnapping is a crime. Later that same day, agents working for Barnevernet, invaded the privacy of the Bodnariu family and seized 5 y.o Mathew, and 2 y.o John, against their will, from the sacred and safe place we all call home. Dear friends, if that is not enough to send shivers down one’s spine, the very next day, more agents working for Barnevernet once again invaded the privacy of the Bodnariu family and, instead of returning the children to their biological and God given parents, Barnevernet snatched all that remained of Ruth and Marius Bodnariu’s children when Barnevernet took 4 month old Ezekiel from his mother’s bosom. 1. Violated the most basic human rights – the right to liberty. 2. Deprived Ruth and Marius of the life of their 5 children. 3. Deprived Eliana 9yo, Naomi 7yo, Mathew 5yo, John 2yo and Ezekiel 4 mo. Old of the love, affection, care, and comfort of their two parents. 4. Deprived Eliana 9yo, Naomi 7yo, Mathew 5yo, John 2yo and Ezekiel 4 mo. Old of the love, affection, care, and comfort of each other – by separating the children. 5. Tore apart a healthy, loving, and highly esteemed family. 6. Traumatized the five healthy, innocent and unconditionally loved children of Ruth and Marius Bodnariu. 1. Without any proof, accusations were noted against Ruth and Marius Bodnariu. 3. None of Norway’s physicians, called upon by Barnevernet to examine Eliana 9yo, Naomi 7yo, Mathew 5yo, John 2yo and Ezekiel 4 mo could find any traces of abuse, trauma, neglect, or mistreatment. 4. None of Norway’s psychiatrists, psychologists or other therapists, called upon by Barnevernet to examine Eliana 9yo, Naomi 7yo, Mathew 5yo, John 2yo and Ezekiel 4 mo could find any evidence of psychological abuse, coercion, neglect or trauma. 5. To the contrary, Norway’s psychiatrists, psychologists, and mental health professionals had nothing but the highest praise and positive feedback to Ruth and Marius Bodnariu for the exemplary loving way they had raised their children. 6. Multiple prayers for relief have been made from Ruth and Marius, Ruth and Marius’s Norwegian counsel and thousands of concerned human beings worldwide. We have repeatedly prayed that Barnevernet stop the continued abuse and return the 5 children to their home – yet our prayers have fallen on deaf ears. 7. Attorneys that practice law in Norway were appalled to find out that when Eliana 9yo, Naomi 7yo, Mathew 5yo, John 2yo and Ezekiel 4 mo were snatched from their parents against their will, Barnevernet, unlike any other agency of the civilized world, assumes such a taking of vulnerable children (without basis, reason, or due process of law) is a permanent and not a temporary measure. 8. Only recently, after the issuance of a court order, Barnevernet has released baby Ezekiel to Ruth and Marius. We are infinitely grateful that Barnevernet has complied with the court order and returned Ezekiel. 9. It is very difficult to understand how the most vulnerable of the 5 children, Ezekiel, was returned to Ruth and Marius, yet Eliana, Naomi, Mathew and John remain separated from their parents and each other. 10. The Bodnariu family is not the only family that has suffered such atrocities. Many families that reside in the Kingdom of Norway are suffering great distress and loss. 1. The good people of Norway as well as the good people all over the world cannot, must not, and will not stand for such abuse. 3. One cannot help wonder, which good Norwegian family in the great Kingdom ofNorway will Barnevernet target next? 4. Furthermore, for those that know history, one cannot help thinking about the rise of National Socialism in Germany. Many good German citizens were concerned about the human atrocities they saw on the horizon and witnessed. Yet, few good German citizens took a stand to speak out against Adolf Hitler’s abuses. First they came for the Socialists, and I did not speak out –Because I was not a Socialist. Then they came for the Trade Unionists, and I did not speak out –Because I was not a Trade Unionist. Then they came for the Jews, and I did not speak out –Because I was not a Jew. 6. Dear good people of the Kingdom of Norway and good people worldwide, we must take a stand, we must speak out. Barnevernet immediately cease and desist from performing such human atrocities. 1. Immediately return the remaining four children to Ruth and Marius, their biological and God given parents. 2. Allow for complete transparency of Barnevernet’s policies, procedures and practices for the taking of children. 3. Form an independent agency that can reassess all outstanding cases where Barnevernet has taken children from their parents. 4. Correct all other cases where Barnevernet has abused its power. 5. Change and amend your ways. We all recognize that there is evil in this world. Government was instituted to curb such evil, not to cause and promote evil. 1. We pray that You, God, have mercy upon us and forgive us for all our sins, for any selfish or incorrect and selfish motives and grant us the grace discerning and then doing Your will in all aspects of our lives. 2. We pray that You, God, change the hearts of Barnevernet and those responsible for such abuses of power. 3. We ask that You, God, intervene miraculously for the safe and permanent return of the remaining four Bodnariu children. 4. We ask that You, God, intervene miraculously for the safe and permanent return of all children unjustly taken from the other families affected. 6. All of this we pray in the powerful name of Jesus Christ, Amen. The words of the good pastor are excellently prepared and delivered. I particularly liked the mention of prayers several times. I appreciate the mention of Pastor Martin Niemoller (1892-1984). He stood against evil when many other “christian” leaders did nothing. 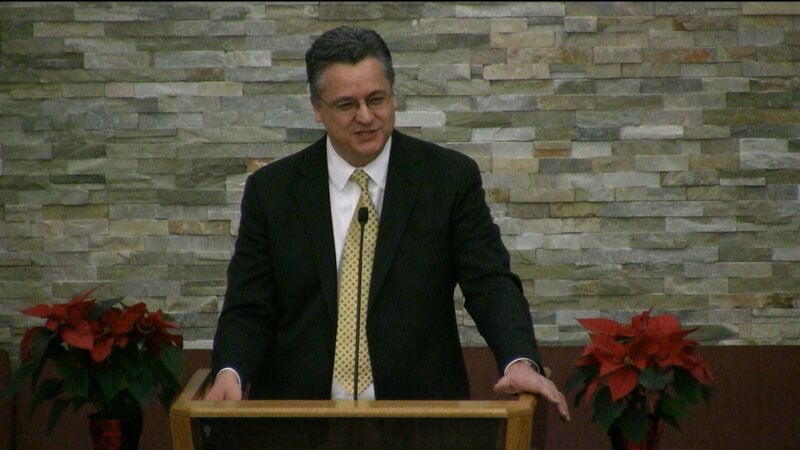 Pastor Semenea has shared the details of what we do know. Now, we not only need the help of Godly men like Mr. Niemoller and Mr. Semenea worldwide, we need the help of anyone willing to stand up for justice and truth. Yes, and the reason why we have to take a stand was very well described. Our faith is justified by our actions. Words are cheap . Thank you brother Semenea. May the Lord help us all to be, and remain faithful in His Truth regardless the price. I don’t agree with the part of the above article where it says that Barnevernet offers help to families. In fact, Norwegian state agency terminates parental rights at its discretion. When a child is removed from your family in Norway there are high chances that your parental rights are terminated. They will try to make you think that it is just a temporary measure but actually it’s not. In the article at the link above it says that Barnevernet offers parental training for parents that have issues. I have two questions: 1) Do they really do offer parental training for parents who lack parental skills and their children are “temporary” removed? 2) What is the purpose of this training? If they get the children back for sure after the training, it makes sense. Otherwise, those classes would only add to the physiological trauma for the parents whose children were removed. Good observations, Octavian! Does anybody know if Ruth and Marius get parental training? From what Ruth’s sister said in the end of her interview, it looks like barnevernet were not willing to give then parental training. I wonder what could be the reason? Do they deem some parents to be incapable of changing even before they have tried? On the other hand, I am suspicious of what barnevernet teaches the parents at such parental trainings when I see the wrong ideologies they represent. Speaking of Seattle, Washington the protesters blocked the traffic in downtown Seattle and caught media attention.. It is funny for me to see that! On the 17th of May back in 1979, when I was 9, I walked down those streets together with my parents and brother waving Norwegian flags in the biggest National day parade we’ve ever witnessed! On my dads side we have got relatives there.There are many with Norwegian heritage in Seatle. And they seem to be very patriotic about Norway. I wonder what was going on in their minds when they saw the demonstration….. Yes, things have changed a lot since then… And sadly many become lukewarm and fall away as the Bible predicts. But we will hold fast to the wonderful gift of salvation through Jesus Christ and let no man take our crowns no matter what it may cost us! CPS has never been better. Wow. This welfare chief must live in a parallel universe. I reacted on exactly the same statement said by the barnevernet leader; “Barnevernet has never been better”. How far from the truth he is…. It is obvious that he is trying desperately to save barnvernet`s reputation. So familien-er-samlet comments: “But apparently there is no crisis for Barnevernet, if one interpret’s Toresen correctly.”, while my own comment was that perhaps Toresen is trying to hide that Barnevernet feels pressed – which would be something new on his part, I think. But this is only speculation. He concludes that if Norway does not take criticism more seriously, world-wide demonstrations will continue and maybe become “worse”. Jahn Otto Johansen is a journalist, worked for the national broadcasting co for many years, as their correspondent in the Soviet Union some of the time. This kind of attitude is well known as a Socialist attitude for replacing the reality with a surrogate imaginary one, elevating the ego and the ignorance of the utopian to incredibly levels. I repeat myself again, love of money and atheism is the roots of all evil. They want to replace God’s reality with a man created one ending in a asimtotic curve out of any touch with our universe. Take note: they have their own god even in their so called churches, they try to create a global way of destruction of the families resisting ferociously any corrections, they think about themselves higher and take any risk on implementing their agenda changing tactics when is necessary. The only thing they are mad about is that they are exposed. Exposing their atrocious actions is only make them to change tactics. I will like to have someone who will expose their secret meetings to confirm what I said. The rest is only facade to mislead the opposition. We have to read between the lines in everything. I repeat myself again, love of money and atheism is the roots of all evil. I’m sorry to tell you that I had more interactions with the atheists than you think and myself I was one of them. You right, false religion is as bad as atheism but the power behind all the bad things in this world is atheism and false religions. I am not ignorant when I speak. I speak from life living experience. Atheism is a false religion and the power that is driving the communism. In Romania every good communist was a good atheist. The founder of the atheism Karl Marx and Fredrick Engel were an inspiration for what had to be Russian Communism. So don’t be mislead by the little difference from the beginning. That little difference is generating an asimtotic line to hell. Every good communist is a good atheist. I think you are making a mistake here, Aristotel. Why criticize one of our best friends? I understand that you have strong feelings about atheism as do I. Yet, Pavla has made some of the best comments about this problem. She is on our side. Will you please leave her alone on this subject? I would greatly appreciate it. It is not about Pavla, it is about atheism that drove the communism in Europe. I am not talking about people, Chris. I am talking about my previous philosophy that I knew very well and previously empowered me and my fellow camarads. This is the problem in this world ,not speaking boldly about the evil roots and only beating the bushes wondering around. Thank you for your advice. So, Aristotel, you are not discussing Pavla personally. That is a good thing. I understand your anger at communism. I know that communism and atheism go together in many cases. In this case, we and Pavla are speaking out against an evil in the world. We unite in spite of our views of God. Pavla knows our differences and by her comments here, I bet she knows them well. Thank you for explaining and taking my advice so graciously. We have some non-Christians here, Aristotel, so for the sake of unity against the CPS we will move on beyond the discussion on atheism. Maybe we will pick it up in later after all this BV madness has been mitigated. Thanks! We’ll probably never get to the topic then, Delight, as this is going to be a long worldwide battle I think. That’s a good thing I think (not the battle, the God/atheism differences). Any atheist who wants to know more about Christianity, which I believe to be the truth, may ask it here and we will do our best to answer. Thank you for dedicating your blog to this issue at this time. It is necessary. Aristotel you are so wrong. Your views are very one sided and actually an insult to all non religious people. You probably view yourself and other christians somehow better because of your faith. You know, that is exactly what we can not stand, judgemental christians who need to preach their truth. Luckily not all are like that. The last thing that most of them want, would be to replace god by some totalitarian ideology as communism. So what do you think about us as humans? You know that your stand is ahead of most of so called Christians Pavla? Christianity is not about religion is about relationships. I don’t condemn you and I have nothing about your way in life but my talk was about most Norwegians that are atheists or lookeworm Christians. I am done talking about the cause is generating so much pain in the world because I have to talk about the spirit and the philosophy behind. Done, done, done. Atheism is not a political movement, its simply lack of believe in god. I dont mind people being religious and I dont judge people on whether they are religious or not. Its better to see what kind of people they are first. How would you like to be associated with inquisition or crusaders or burning witches just because all these were made in the name of god? Probably not , right? So that is why atheists dont like to be associated with communists. For many of them its not truth, for some it is. I dont want to be associated with these as I have nothing in common with them. And last thing, I have not said one word against christians either on here or on FB until my last 2 comments which still are not targeted against Christians as whole, but more against the ones, who feel they are better because of their faith. On the other side I have heard so many negative comments about atheists that its painful. But you are right, we are done. Aristotel I am sure that I hate communists as much as you do. My mothers family was persecuted. My grandparents have lost everything, their farm, their home..They had to move hours away from their village, because they were not allowed to stay there. My grandfather was imprisoned by the communists in the 50s. Many of my relatives have escaped the regime. I am not religious, but I would never ever vote communist party or want communism or socialism. Actually I have mostly voted for conservative party, who has good economic ideas, but they have proven to be completely corrupt. Now I vote for a central party. (In Holland). Atheism does not equal communism. Communists have used it as a tool. Atheism and agnosticism have roots back to the Ancient Greece. I dont know what kind of people you are meeting, but I know many non religious people who dont vote communists, on the contrary. Maybe you meet some crazy Marxists. What you were describing is truth, but this is an extreme form, militant atheism, this is as dangerous as any extreme form of anything. There are many types of non religious people just as there are many types of religious people. Think about it. That said, I support the Bodnariu family because I am convinced that they are good people. I hope that the Christians would also support non religious people who had their children taken away. Its about human rights. Chris, thank you for the support. Yes Pavla, we support all BV victims regardless of religion. Thanks for your comments. I am glad you have told your story. Most in the West connect atheism to communism. You have told us of a different experience. It is one that I was somewhat aware of but am glad to “hear” again. Even though we disagree about the existence of God, I have found your statements, including the last one, to be balanced and educational. Please continue to comment here. We are working together. There are many reasons why people are atheists, some were raised this way, some have rejected their faith later. Christianity was such a dominant part of peoples life throughout the history. It was part of daily life, at schools. My father in law was born & raised catholic. In that time there was a lot of religious pressure in Holland and the priest was reminding his mother that it would be time to have another child . His mother who wanted to have 1 or 2 children has ended up having 14 children and totally burn out. No need to say that it effected the children who in adulthood had a big psychological problems. That caused my father in law dropping the religion completely. My mother in law has switched to protestant church who she considered less strict. I agree with her as my family belongs to protestant church even though not practicing anymore. I have only once or twice visited a catholic masses and did not enjoy it at all. On the other side, I have lived and worked in Germany in a family of protestant pastor and I have enjoyed his mass much better. It is a different approach. I am a protestant who has catholic friends and now an atheist one (I hope you feel the same). My catholic friends know of our differences. They are significant theologically. I have placed several items on my blog which show the differences between protestants and Catholics. It is very simple at the core. Protestants believe they are saved by the grace of Jesus Christ alone. Catholics believe that they are saved by grace and their good works. It is a huge difference. Hi Chris, thank you so I am your first atheist friend 🙂 Btw. even though I am not religious, I am not 100 % atheist either. I like visiting churches and cathedrals while in other city. Every year we visit the church with the children for the story of St. Martin and lantern parade. I think there might be something spiritual at least some kind of energy and I hope that there is something after death. Just not the general heaven & hell concept. I really disliked the catholic mass though. Its more than 20 years ago and I still can remember it. I went there because my cousin has converted to Catholicism, so I went there with her. I found the whole mass very impersonal and distant and too much talk about guilt & sin. On the other side as I mentioned the protestant mass was much more open and friendly and personal. I dont want to say its always like that, but that was my experience. I have no idea, why is Czech rep. so atheist now. I have read something interesting though. When there was a survey done, only 19 % of people declared, that they believe in god and about 30 % are not believers, about 50 % stated that they believe in some kind of sort of spirit or life force, 1 % did not know. This was a survey of more than 1000 people. What is also interesting that there is a relative high number among the religious people who dont associate with a specific church. Surely the reason why there are so many not religious people is because of 40 years of socialism, though other countries like Poland and Slovakia and Romania had socialism as well and they are religious. Poland is very religious for example. I really dont know why, might be that we were not that religious even before the WWII. My father in law that I mentioned is Dutch and there the situation was different then. I will try to find out about how religious we were before WWII and let you know . Sorry if we are a bit off topic here. Chris what is also interesting that in 2001 there was about 26 % roman Catholics, that number dropped down to 10 % in 2011 as stated in my previous comment. This seems quite a big difference. Thank you for the information, Pavla. I find it very interesting. I appreciate your attempt to find an answer for me but it is not necessary. I am curious about one thing, however. There are so few protestants there. I can research this but I bet you have much better access because of my language barrier. Has there ever been a higher percentage of protestants living there? Aristotel atheism and agnosticism is about religious views, its not about political views. In its core definition atheism and agnosticism says absolutely nothing about political views..It was used by communists because they also strongly opposed religion that in that time was very powerful. atheist, agnostic, infidel refer to persons lacking religious belief or a particular religious faith. An atheist denies the existence of a deity or of divine beings. An agnostic believes it is impossible to know whether there is a God without sufficient evidence. An infidel is an unbeliever, esp. one who does not accept Christianity or Islam; the word is usu. pejorative. I would think any person with a common sense would see the difference? Now I dont want to be associated with anything that has to do with communism. Thank you. Hello Pavla again. Please read on Internet argumentsforatheism.com to understand what how atheism influenced the world and communism. You will find the founder of 19 century of atheism and how atheism was the power and the philosophy behind communism. I believe that the power behind what happens in Norway is the atheism. Atheism believe that behind what flesh and blood is nothing. No souls. I had many discussions with American Atheists. We in the CPS have reforms and changes all the time. You and the movement must understand that as long as the CPS workers ain’t cloned, but are humans – just like you – a CPS worker will differ from another in some details. One municipal – like Naustdal – will differ from others. I work in a big town in Norwegian context – we are now 8 divided areas, but the municipal has used some cash to get us examined by a firm – Deloitte – and now changes are going on just in our municipal offices to make us 8 practice our levels, assessments and work more collected. If we succeed we give the same service to all inhabitants in our municipal, but although we manage that we will sure differ in some practices with the CPS’s in our neighbour municipals a.s.o. In the BBC documentary Ruth is asked about the meetings she has with her children. She said that the children tell her that they cry themselves to sleep at night.. She is not allowed to talk with them about the case. So she cannot comfort them. Can you imagine, Knut, how this breaks a mother`s heart, to see her own children suffering and you cannot comfort them or change the situation? Barnevernet really makes life very miserable for some children…. What barnevernet has done to these children is certainly not “barnets beste”!!!! Well said Hildi, we all around the world have been tough deeply of the drama Barnrvernet has caused to Bodnariu family.We have not been passive but rather we wept and took to the streets in our respective cities to uncover the evil Barnevernet is unleashing in Norway on its citizen.We will not tier and continue to spread the word everywhere till the people of Norway will be able to live free in their own country. Yes! May God help us! Imagine all the teardrops, all around the world, that have fallen for the Bodnariu family! And God collects all our teardrops. He cares, and He answers prayer! It made me cry again when I thought about the Bodnariu children who cry themselves to sleep and miss their mamma, pappa, brothers and sisters so much. Memories come back to the sweet moments when my kids were little. They were very active during the day. But right before they went to sleep we spent a long time reading stories, singing and praying together. Then the children would tell me things that were bothering them or things they were curious about. They were precious moments. Therefore it breaks my heart when I think about the Bodnariu children longing for their mum and dad so much especially when they go to sleep. May the Lord protect them and comfort them now in His love and care! Amen, Amen. May our Lord Jesus Christ do so. I wonder if the Bodnariu children know about the huge demonstrations and attempts all around the world to bring them back to their parents? I guess they must know, unless they are living in total isolation. They must feel as though they have been kidnapped, something they actually have been.It is so heartbreaking to think about all the pain these precious children are going through. They are longing to be back with their parents and siblings and the parents are longing for their children. But barnevernet think they know better and lock them up in their heartless power. It makes me also think about Jesus and what he has done for us. This is a Christian site. So I believe I can share about my Lord and Saviour. God loved us so much that he sent Jesus to die in our place. Jesus did everything for us because he loves us so much! We were bound to the prison of sin. But Jesus paid the penalty for our sin so we could go free. We just have to receive and believe. God sent his Son into the world not to judge the world, but to save the world through him. Jesus says; “Come to me all who are weary and burdened, and i will give you rest “. He longs for us to come to him in the same way as Ruth and Marius long and do everything to have their children back home! Thank you Hildi for not been ashamed to share the wonderful work of grace done in your life.I have a similar experience and for us our faith in not somewhere in our minds, but has change our lifes .We are not perfect people but the direction of our life has been changed by God to the point that we desire to listen to His Word. This desire is present with us daily. I am not saying this to bash him but rather to challenge him to rethink his position toward what has happened to the Bodnariu family. We come from a former communist regime where many people have been recruited by the secret police to spy on others , like your neighbours, family members and fellow people. They thought what they war doing was to serve the common good of the country. All the madness Ceausecu and his people promoted has come to nothing and needless to say that people involved with those atrocities have had a bitter end too. Please consider my words Mr Knut and for sure God will take care of you working else where that for that evil institution called Barnevernet.